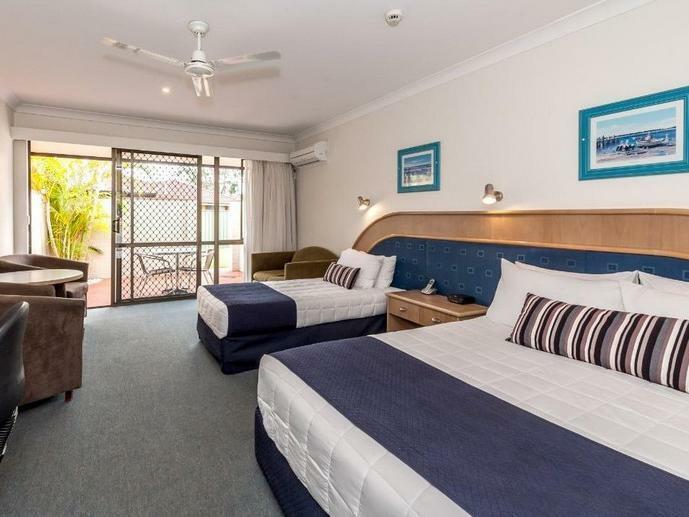 Ada pertanyaan untuk Macquarie Barracks Motor Inn? 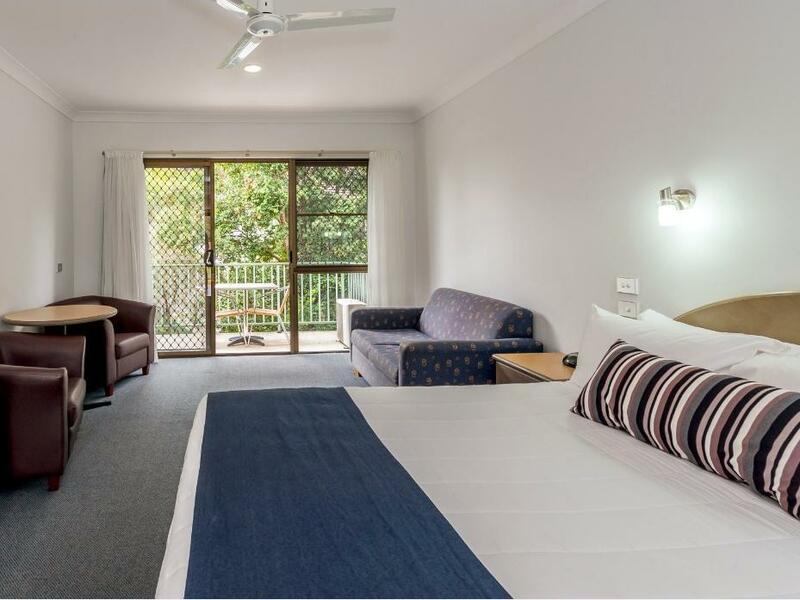 Macquarie Barracks Motor Inn, terletak di Settlement Point, adalah pilihan yang populer bagi para wisatawan. Kehebohan pusat kota terletak hanya 2km dari sini. Yang tidak ketinggalan adalah akses mudah dari properti ini ke sejumlah obyek wisata dan landmark kota ini seperti Silk Trees and Plants Quality Artificial Plants, Douglas Vale Historic Homestead & Vineyard, Gordon St Cycles. Setiap upaya dilakukan untuk membuat tamu merasa nyaman. Dalam hal ini, properti menyediakan pelayanan dan fasilitas yang terbaik. Ketika menginap di properti yang luar biasa ini, para tamu dapat menikmati WiFi gratis di semua kamar, layanan kebersihan harian, binatu (laundromat), akses mudah untuk kursi roda, fasilitas untuk tamu dengan kebutuhan khusus. 34 kamar yang tersebar di 2 lantai memberikan suasana hangat dan menyenangkan ketika Anda jauh dari rumah. Kenyamanan seperti televisi layar datar, bak mandi whirlpool, kamar bebas asap rokok, AC, penghangat ruangan dapat di temukan di beberapa kamar tertentu. Kolam renang luar ruangan, taman yang di properti ini merupakan tempat-tempat ideal untuk bersantai setelah beraktivitas sepanjang hari. 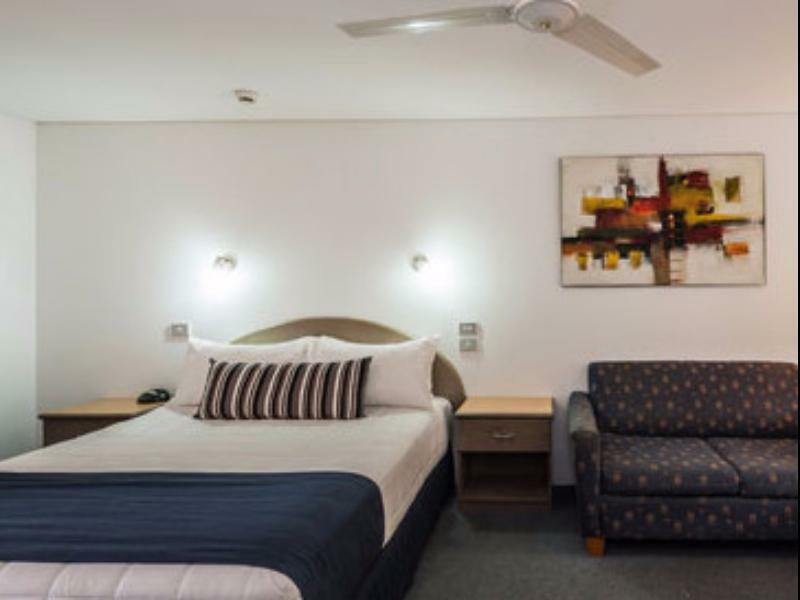 Dengan lokasi dan fasilitas idealnya, Macquarie Barracks Motor Inn dapat memenuhi berbagai macam hal. Comfy and clean. This is my second stay. Perfect overnight stop over on the way through to Bribane.. I highly recommend it. OK for an overnight stay. Tight space for 4. Fold out couch not that comfortable. Friendly staff; it's a great place for travelers who already have cars to get around in. Great restaurant, accommodating people, comfy, clean. Good experience for an transit/overnight stay. Great place to stay, was comfy, clean, safe and secure. We were very pleased with the location and the accommodations. We had only wished the main room had more than sheer curtains so we had been able to sleep later than 4:45 sunrise. The staff was very friendly and helpful. Our stay was fantastic, we were greeted by friendly staff, our room was clean and comfortable and well appointed for our needs. 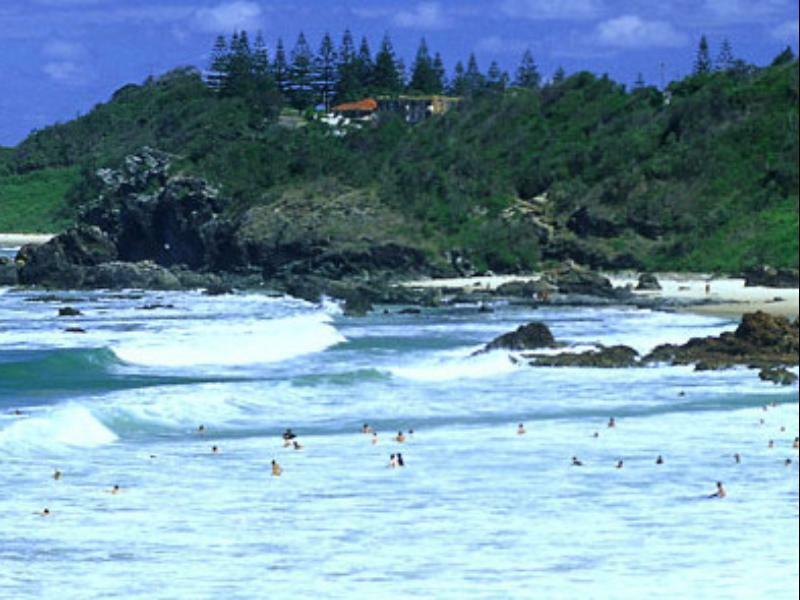 Because it is not in the heart of Port Macquarie it means that access back on to the main road to Sydney is much quicker and as a pit stop this was perfect for us. Breakfast was only $10 and stood us in good stead for the journey ahead. The room was small and the bathroom smelled really bad. It had the lingering musty odor. The room was small and because it faces the street, the road noise was very loud and disturbed of sleep. We could not wait to leave. 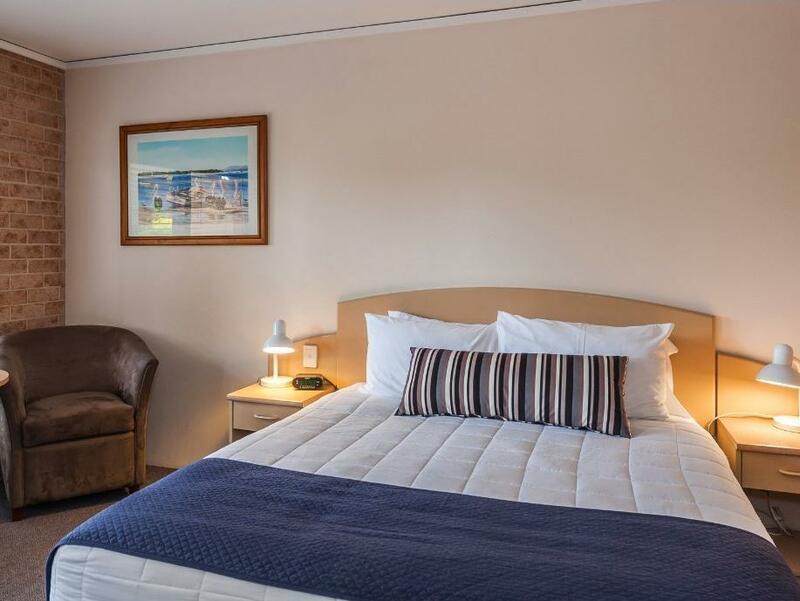 The room was comfortable, clean and conveniently situated for the airport. Unfortunately the Restaurant was not open on a Saturday night . I picked this Motel instead of a Golden Chain because it was supposed to have restaurant facilities .The weather was extremely bad when I stayed and this meant having to go back into town in severe weather conditions or do without an evening meal! Great place to stay. Definitely recommend. Layout of the bathroom needs changing, very unorganised. Very noisy, upstairs right next to a busy road, didn't get any sleep... The room was comfortable and clean. The restaurant and breakfast was great. our stay (one night) was good. but pls take away those 4stars... it's far away of being a modern 4* hotel. it's missleading! nothing wrong with the motel itself tough! Beds were way Hard.Everything Else fine.We arrived late and asked about Resturant.Staff rand to see if we were coming down for Dinner, we were too full from Lunch, but very nice that they asked.